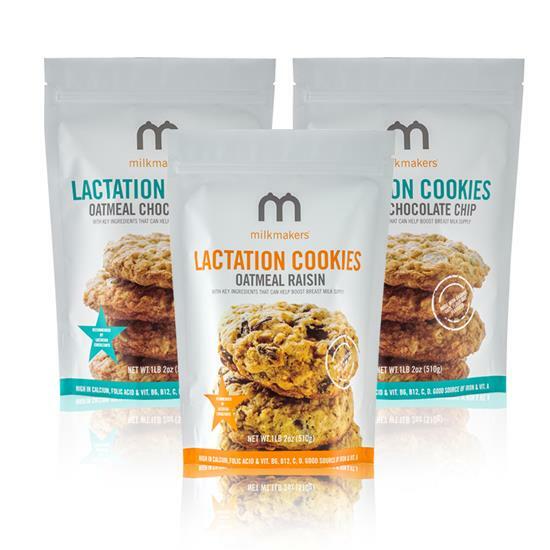 For those seeking an alternative to dairy milk, but wishing that they did not have to give up the protein, there is now a new, plant-based option! 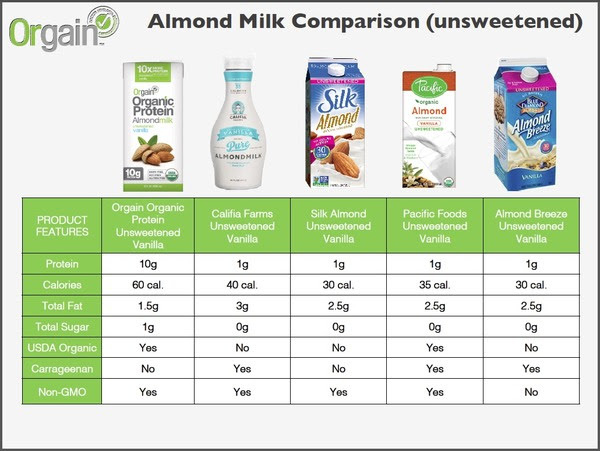 Typically, a glass of dairy milk contains 8g of protein per serving, and Orgain’s Organic Protein Almond Milk boasts an impressive 10g of protein per serving! “Mom” was floored by the fact that this Vegan almond milk not only contains more protein, but it is USDA Certified Organic, non-GMO, and contains no carrageenan, a common ingredient in dairy milk alternatives. 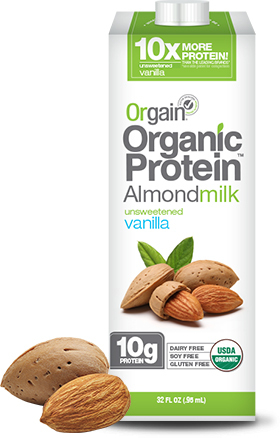 Besides enjoying Orgain’s Organic Protein Almond Milk in a glass with your meal, you can use it in smoothies, on top of cereal or granola, or in baked goods! 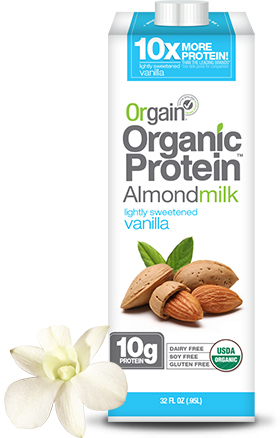 The almonds used in Orgain’s Organic Protein Almond Milk are grown on organic, dry farms with no run-off and planted alongside organic olive and citrus groves to ensure diversification to help protect bees and the environment. 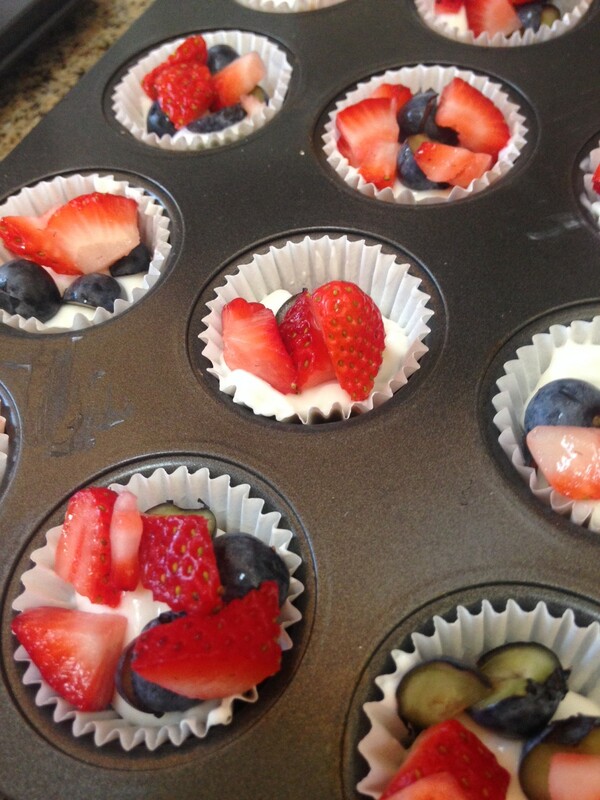 This is one company to love! 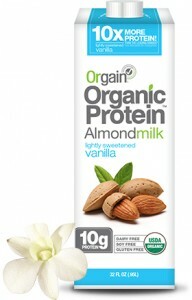 You can purchase Orgain’s delicious new high-protein almond milk at most Walmart, Whole Foods Market, and The Vitamin Shoppe stores across the US, as well as at many local natural food stores. Learn more at http://orgain.com/.